Paso Robles, CA – San Luis Obispo County’s leading septic tank experts have released a report for residential property owners to stay aware of interpretive signs that waste is not being properly stored. Accumulating water. This is one of the earliest signs that trouble may be brewing below, and septic tank failure is inevitable. Property owners must be vigilant and look for any areas above or around their septic tank that may have pooling water, especially near the drain field. The presence of water puddles is a common indication that the septic tank is full or that the field pipes are clogged with solid waste. 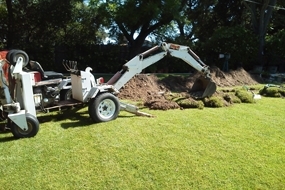 Either way, a Paso Robles septic tank team will be needed to correct the issue and prevent further septic tank leakage. Pungent odor. 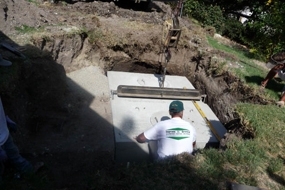 If a strong and foul odor, that seems to linger for more than a day is a tall tale sign that a septic Paso Robles specialist is needed to inspect your septic system. Your septic tank collects all types of wastewater leaving your home. 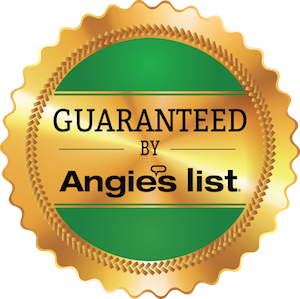 This includes water from kitchen and bathroom sinks, showers, baths, and laundry machines. 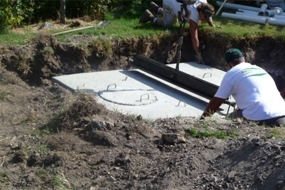 When a septic tank is backed up, the stagnant wastewater will begin to accumulate bacteria and solid waste that will release a foul odor into your home and outside near your septic tank. At the first smell of trouble, or if water is slow to go down your drains in your home, do not hesitate to contact a licensed and reputable septic tank maintenance provider. More vegetation near the septic tank. When a septic tank runs correctly, the grass near the drain field should be no different than the grass in other areas of your yard. If the grassy areas near your drain field seem to be thicker or discolored, when compared to surrounding areas, then your septic tank may be failing. 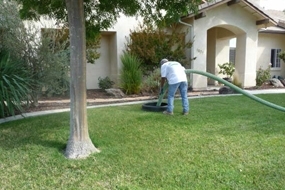 The report recommends that homeowners walk their property at least once a month and look for pooling water and mismatched grass patches to stay ahead of Paso Robles septic tank trouble before severe damage occurs.